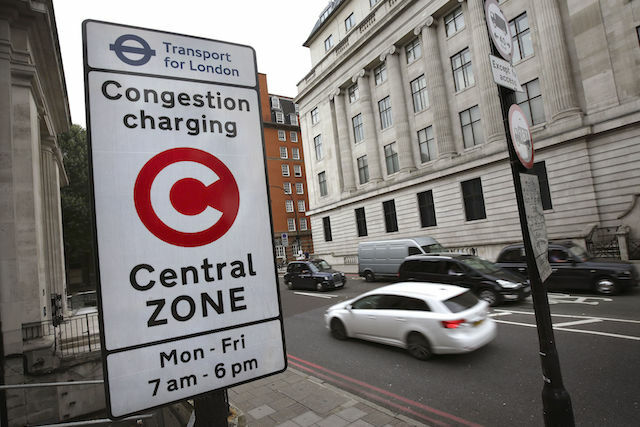 London's congestion charge, introduced in 2003, has actually increased diesel pollution in the capital according to university researchers. Scientists from Lancaster University, the University of Wisconsin-Milwaukee and the Norwegian University of Science and Technology presented a study on the matter at the Royal Economic Society's annual conference. The study found that since the introduction of the charge, nitrogen dioxide levels in the city have increased by 20 per cent. Nitrogen dioxide is a common emission from diesel vehicle exhausts, and is deemed to be so harmful that the World Health Organisation has classified that as carcinogenic, due to evidence they cause lung cancer. The study suggests that the discouragement of passenger cars could have pushed commuters into heavily polluting diesel buses and taxis. These vehicles are exempt from paying the congestion charge, which currently costs £11.50 per day. A parliamentary enquiry last year called air pollution in the capital a 'public health emergency', and as a result the city of London added an extra charge for owners of older, more polluting vehicles. The T-Charge covers any diesel vehicle which was built before Euro 4 emissions standards and costs an extra £10 on top of the existing £11.50 congestion charge. John Heywood, lead author of the study, said: "Exempting buses and taxis meant that these diesel vehicles drove many more miles as a result of the congestion charge as commuters transferred out of personal cars into these forms of public transport. This reflected an explicit policy to expand public transport provision in the zone. "As a consequence, the fuel mix of vehicles in the zone moved toward diesel . . . The reduction in other pollutants has to be weighed against negative health effects associated with a marked increase in NO2 emissions."